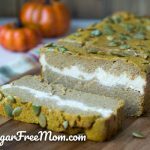 This Beautiful Low Carb Pumpkin Bread is perfect on it’s own, but when a layer of delicious cream cheese is spread in the middle, this bread it’s one of the best you’ll ever have! 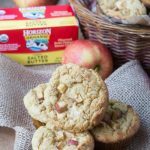 Thank you to Horizon Organic for sponsoring todays post. 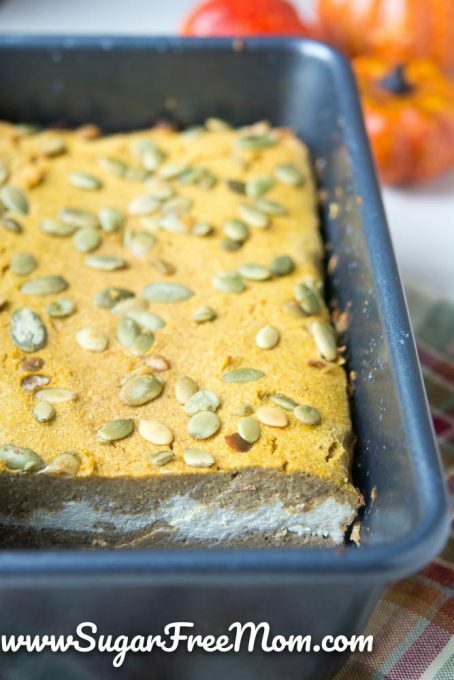 It’s officially the fall season and that means, “Bring on the Pumpkin!” This recipe is all about comfort. 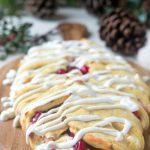 Whether you’re enjoying it for breakfast with a cup of coffee on a cool fall morning or need a special homemade gift to bring to a party, this creamy filled bread is sure to please everyone. 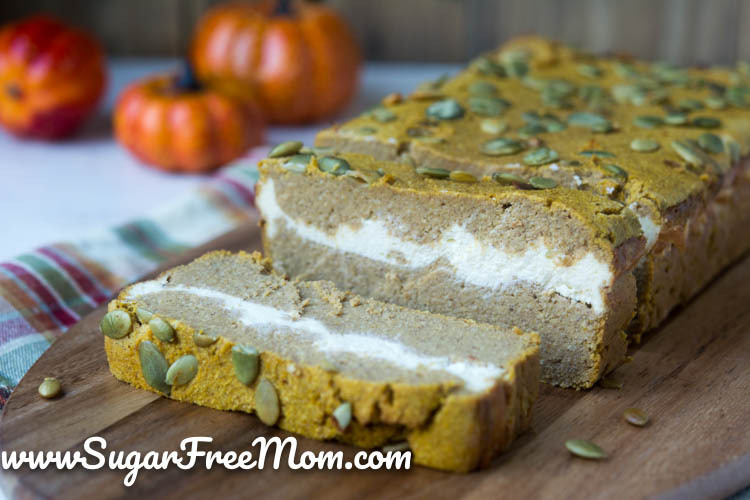 No one will even realize it’s sugar-free, low carb, grain free and gluten free. All they will notice is how delicious it is. When you remove sugar from any traditional recipe it can almost be like a guessing game on how much replacing for the sweetness needs to happen. Adapting from my Chocolate Chip Muffin recipe that uses Horizon Organic sour cream and Half & Half and my Chocolate Pumpkin Bread, I made this a successful recipe on the first try! 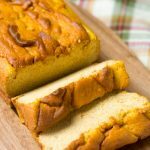 The great thing about pumpkin is that it is naturally sweet on it’s own and also adds moisture to the final baked product, especially helpful when using coconut flour which can tend to dry baked goods if not enough liquid is used. 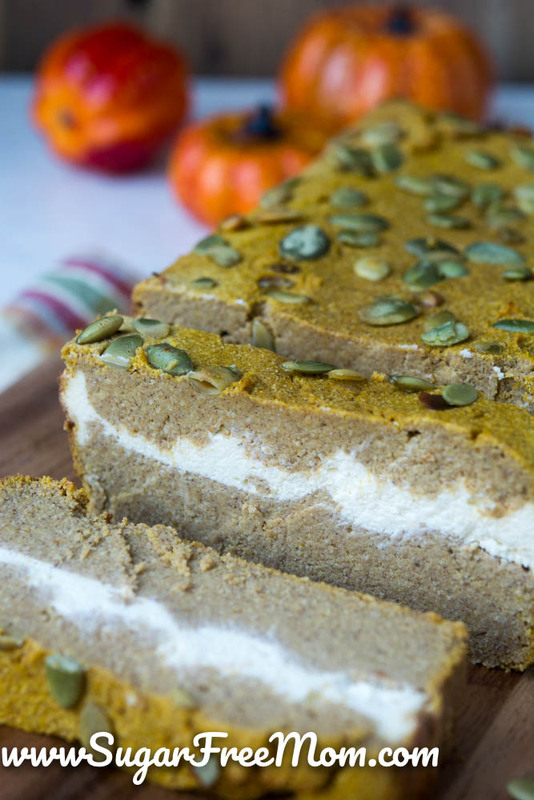 Other Pumpkin Recipes you might like; Pumpkin Fudge, Pumpkin Cookie Dough Truffles, Pumpkin Cheesecake Brownies, Pumpkin Cheesecake Mousse , Chocolate Pumpkin Mousse Cake and my favorite Pumpkin pie! 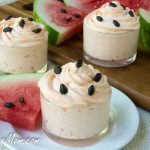 Having it for breakfast makes you feel like your indulging in a dessert, but knowing it’s low carb takes any guilt from enjoying this right away. 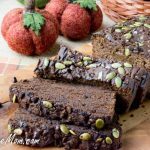 No sugar crash will be happening with this yummy bread! Whisk the first 6 ingredients together. Set aside. 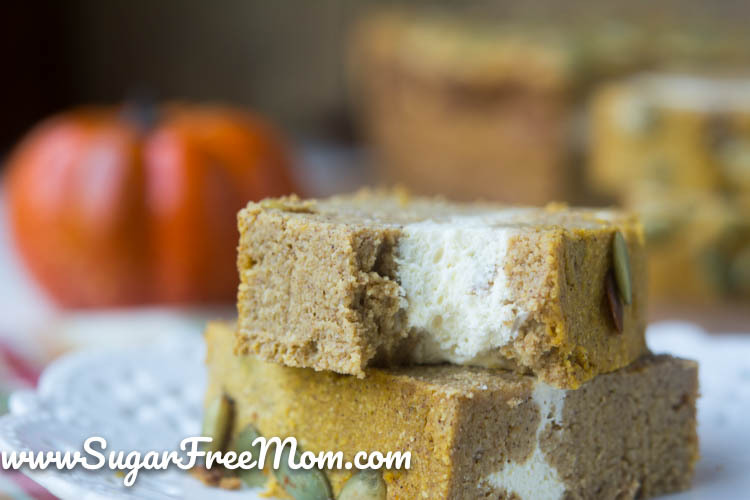 Place the pumpkin puree, butter, sour cream, half & half, maple extract and stevia in a stand mixer and blend until incorporated. Taste and adjust sweetness if needed. Add in the eggs to the stand mixer and blend until well combined. Pour in the dry ingredients and blend until incorporated. Grease a 9 by 5 loaf pan. 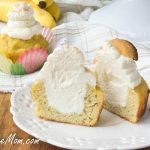 Prepare the cream cheese filling by placing all ingredients in another bowl and stand mixer or an electric mixer to blend on high until smooth. 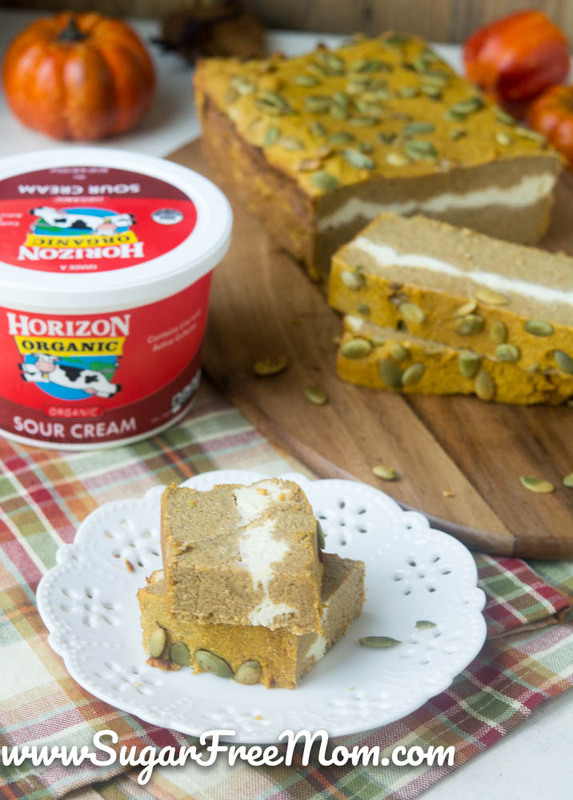 Pour half the pumpkin batter into the loaf pan then spread the cream cheese layer and then spread the rest of the pumpkin batter. Bake for 45-50 minutes or until batter in center of loaf looks set and edges are browned. Allow to cool 15 minutes then loosen edges with a knife. Enjoy warm if you prefer. Refrigerate until ready to serve. We enjoyed this best after if was chilled overnight. Is this 5 carbs for whole loaf or per slice? There are 12 servings in the whole loaf and the nutrition info is for 1 slice. So 5 Net carbs per serving. If you are off dairy. What can you use to substitute? I know almond or coconut milk for the half and half but wondering about the butter, sour cream and cream cheese? I believe Daiya brand has cream cheese and sour cream dairy free options. Coconut oil – – the kind that sets up at room temperature – – subs okay for butter in most recipes. Can you sub heavy whipping cream for half and half?